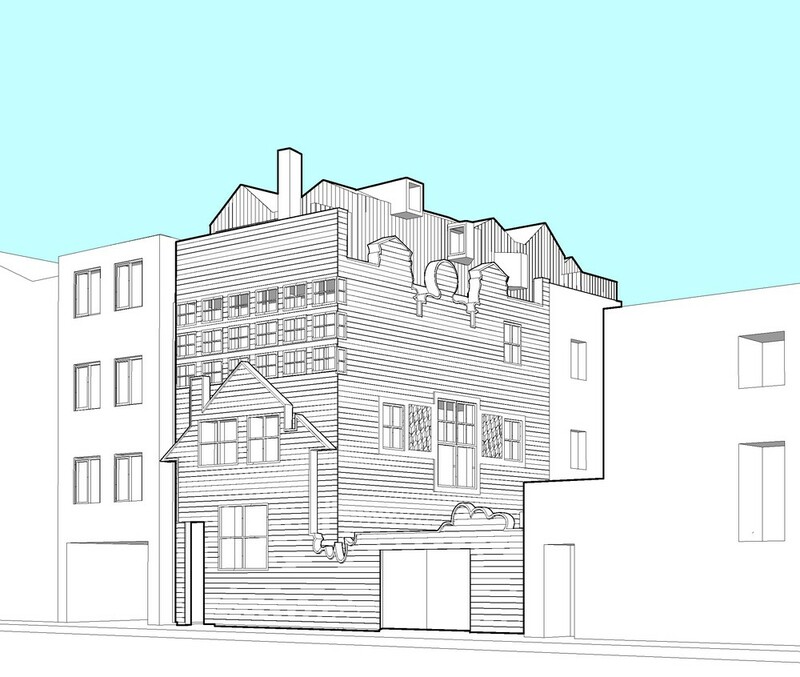 Planning permission for a new addition to the Blue House in East London originally designed by FAT. 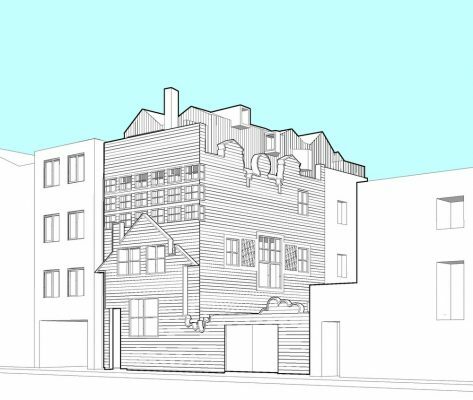 Modern Architect has been granted planning permission for a new roof extension to the Blue House in East London, originally designed by FAT and completed in 2002. 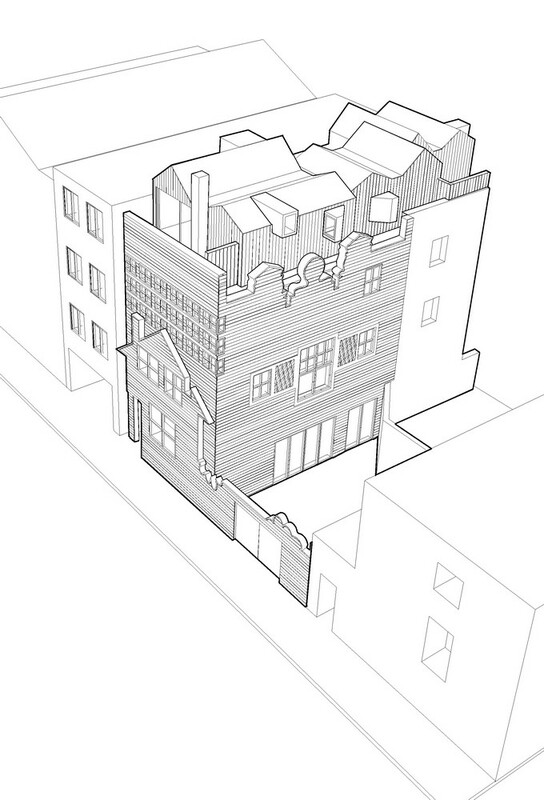 Designed to look like a series of connected sheds, the extension forms part of a renovation that transforms the building from a combined house, apartment and office into a large single residence. 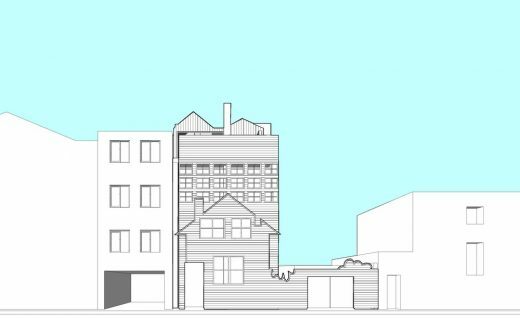 The new addition will be clad in cement fibreboard with a timber-grain texture, to match the blue-painted walls of the existing structure. It will feature a number of “abstract elements” including an extended chimney and angular window boxes, which will be partially screened behind the original parapet wall. “The design of the roof extension is conceived as a series of interconnected shed forms whose height and arrangement are determined to minimise the overshadowing and overlooking of the surrounding buildings and gardens,” explained Griffiths, who now runs a studio called Modern Architect. “The composition extends the building’s original character, making use of archetypal pitched-roof forms and undulating skylines,” he added. FAT completed the Blue House in 2002. Griffiths was both the architect and the client for the project, which he previously described as “Adolf Loos on the inside, South Park on the outside”. 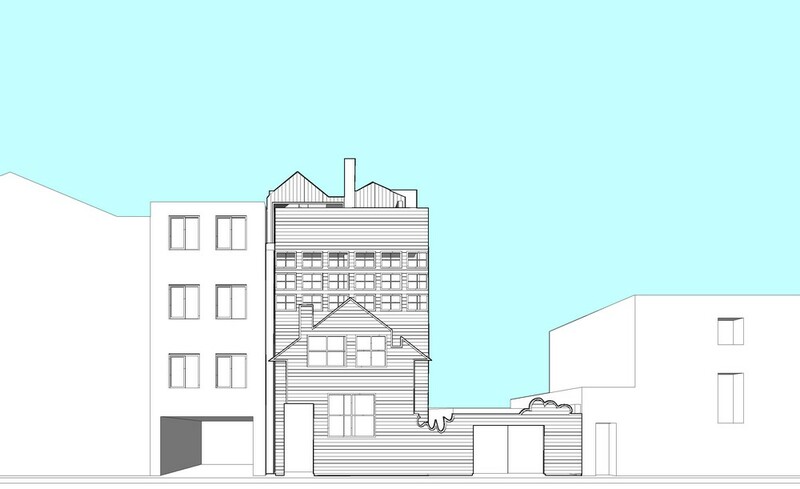 Its cartoon-like aesthetic – designed to look like a traditional house with an office block behind – hinted at what was contained inside. As well as a home for Griffiths’ family, the Blue House housed a small office and separate apartment, although the architect moved out of the house in 2009. To combine his former home with the office, Griffiths has also designed a new staircase. This live/work building by FAT, now affectionately known as the blue house, has a cartoon-like billboard character which communicates its function as a home and office. The front has a miniature scale, but the side addressing the main street is big in scale. Built for £300,000, the project makes innovative use of standard construction methods. The house contains a maisonette for family of three, an office and a separate apartment. The significance of the blue house as one of the most important houses built this century is widely recognised, it features prominently in numerous publications including the new edition of Pevsner’s Buildings of England.